Mike Ranta, Canada’s modern voyageur. Mike Ranta is a Metis man seeking redemption for his past. The forty-six year old from Atikokan, Ontario, grew up in the north and was ‘mean as a wasp’ he would tell you jokingly. After losing his mother at the age of eighteen, Ranta set out on a hell spree. Working the oil rigs and drifting between jail time for the better part of twenty years, his epiphany arrived on the day he heard his hometown youth centre was to be stripped of government funding, a move which would close the doors of the place which helped him in his younger years. 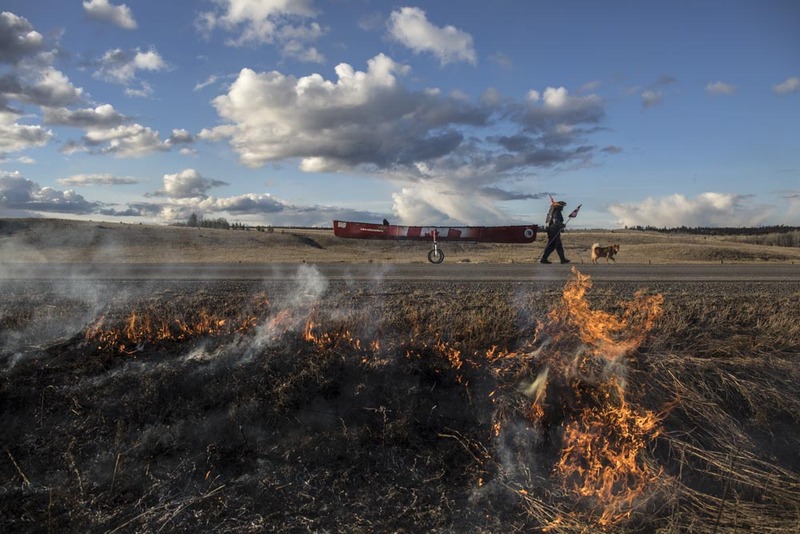 In 2011, with his faithful pup, Spitzii, Ranta picked up his paddle and canoed 130 days from Rocky Mountain House, AB, to Montreal, QC, raising enough money to save the centre. 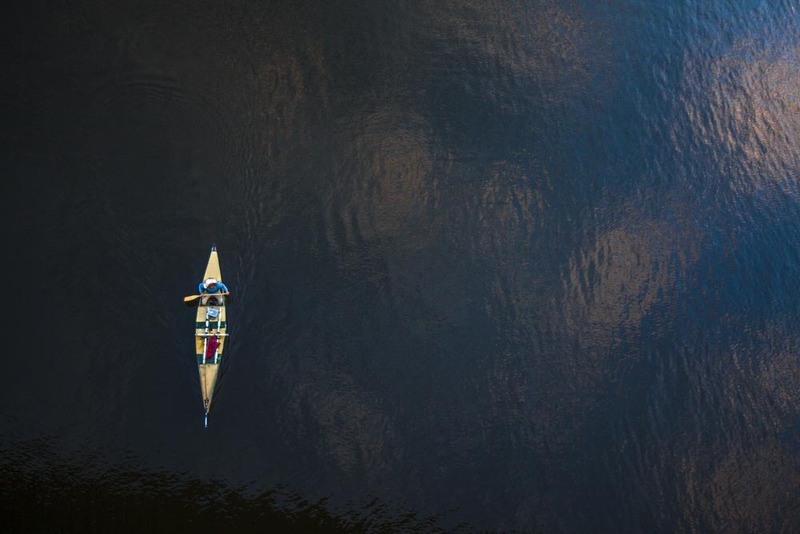 In 2014, he dreamed as big as he could and paddled from Vancouver, BC, to Tatamagouche, NS, in 214 days. 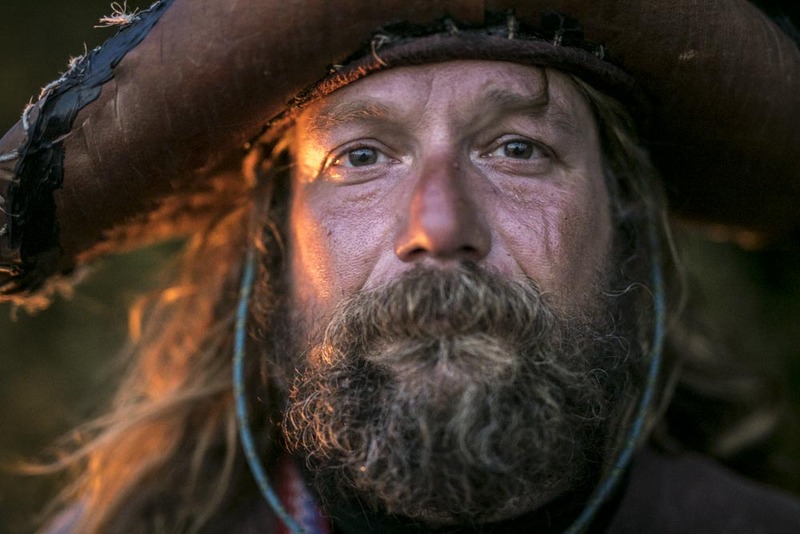 He became the first person in history to go solo from coast-to-coast in a single season by canoe. In 2016, he once again left from Vancouver with a faster route in mind and travelled in 200 days to Dominion Beach, Cape Breton Island, NS. All of his trips were self supported and true to his personal ethics of trip etiquette. He received no rides, he accepted no help in moving his gear, and he stayed true, honest, and positive all while paddling his own canoe. In 2017, Ranta and Spitzii set out on one last journey to mark Canada’s 150th birthday. The route was new, departing from Bella Coola, BC, on April 1st, and the weather he received was unlike anything he encountered on any previous trip. After 187 days, at the foot of fall gales on Lake Superiors north shore, Ranta would quit during a year marred by extreme weather events. Across the divide, Ranta portaged 1000km’s. Through the prairies, he was missed by two tornadoes. His indomitable spirit endured pitiless wind, snow squalls, and encroaching wildfires before admitting defeat. If success was marked by completion of his third crossing, then Ranta failed but his mission was greater than his previous successes. Ranta wanted to shake the hands of each Canadian he met, collect signatures on the hull of his canoe, and remind everyone that Canada is a lot older than 150 years. He beamed in ephemeral joy, and his words reminded people to be grateful for what a beautiful nation Canada has become. Currently, Ranta works on a commercial fishing boat in Killarney, Ontario. I first met Mike Ranta and Spitzii in 2014 when Canoe&Kayak magazine sent me to document the duo. Their trip was unprecedented in that they were travelling from coast-to-coast, alone, in a single season, by canoe. I quickly became obsessed with his accomplishments and wanted to join a trip. In 2016, he invited me to join him in my own solo canoe but having already committed to the Rio Olympics, I declined. It was so hard to say no but the Olympics were another childhood aspiring photographers dream. When I met with him on his 2016 trip to make a few photos, he was having a tough year but was on route to success. 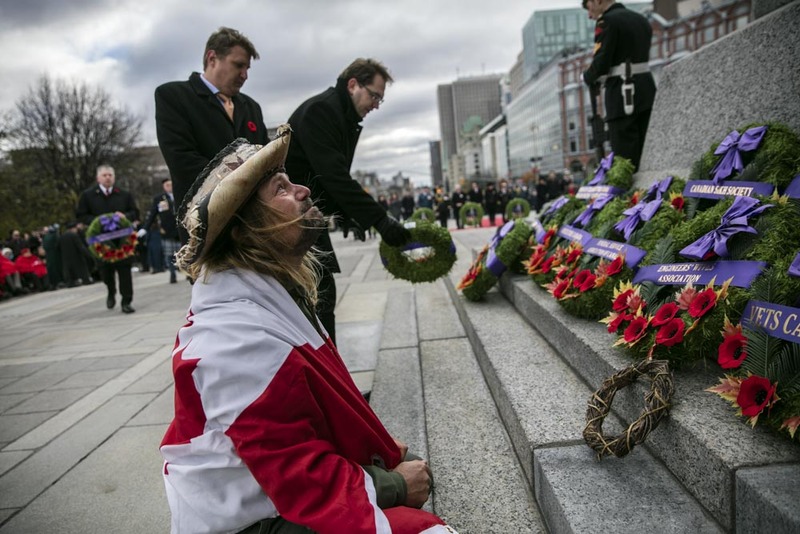 On November 11th, after his successful completion, he laid a handmade wreath on the Tomb of the Unknown soldier in Ottawa on Remembrance Day. “I’m going one more time to mark Canada’s birthday, Dave.”. I was in. On April 1st, 2017, equipped with my own canoe and gear, we departed Bella Coola and I spent 182 days with Ranta before I decided our late arrival to Lake Superior was too dangerous. After two weeks on the lake, death or rescue seemed certain. He insisted we stay and until that point I had felt my ethics as a story teller were in line with not changing the course of his trip, but to stay on Lake Superior in the fall as bad weather pounded us for two weeks seemed as if I would have to become a part of the decision making process. I departed the trip and was dropped off in Lake Huron, where I paddled another few weeks alone to Ottawa. Leaving Ranta was the toughest decision of my life. He quit his trip two days after my departure. The photos and stories are vast and myriad and this edit reflects a snippet of the journey. I hope to create a book someday of Ranta’s life story and we continue to be dear friends. As his life unfolds, I keep returning to document his courageous story of redemption and triumph against life’s adversities. To collaborate on a story from the trip, please email me at exploredavidjackson@gmail.com . A few photos from Ranta’s 2014 and 2016 trips.